Sydney Metro is Australia’s biggest urban rail project in Australian history. It will transform public transport with 31 stations on a new 66km rail system. Services start in 2019 in the city’s North West with a train every four minutes in the peak. Metro rail will be extended into the CBD and beyond to Bankstown in 2024. 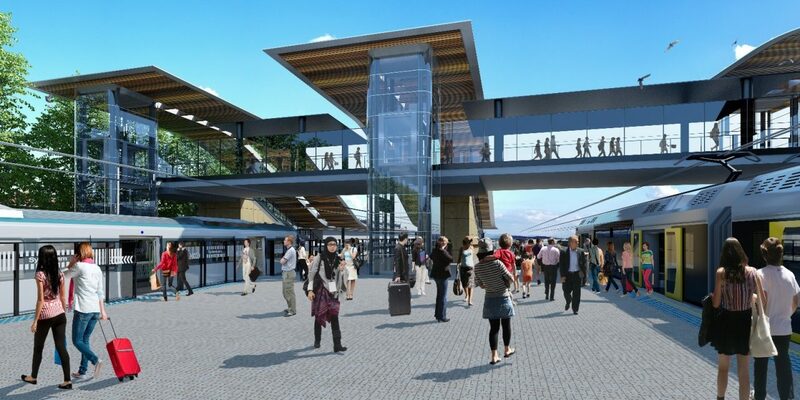 John Holland Pty Ltd and Laing O’Rourke Australia Construction Pty Ltd has been awarded the contract for major railway work at Sydenham as part of Sydney Metro, including the upgrade of Sydenham Station.